Our Rob, who does love his racing games, called Early Access racer Project CARS “gorgeous and exciting” and a “consistent delight” in his list of the 10 best racing games on PC. And it’s always been easy on the eyes, but a comparison video from ADRIANF1esp shows how far it’s come since the early days in 2012. The comparison video uses the same car and track, but two years of development have made a heck of a difference. The additional models like trees gives life to the area around the track, the lighting is more vibrant and shadows have more depth, and there’s been some obvious improvements to the textures. So it’s very much at it’s best. And its best looks pretty damn good. 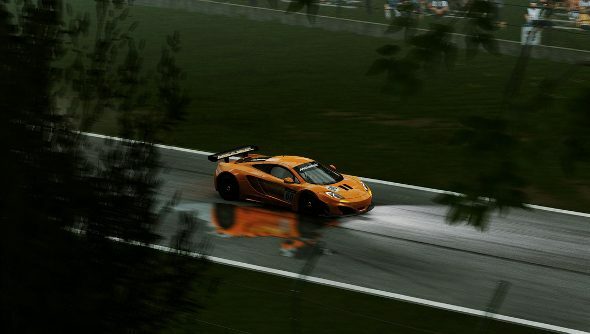 Project CARS will pull in on November this year.